A W Brooks Haulage Ltd has been in business for 25 years. 22 years as a Sole Trader and 3 years as a Limited company. The Company have always worked with Tarmac and currently have one 32000 kg Tipper Lorry and two drivers, one of the drivers is Anthony Brooks . The company are due to receive a new vehicle in September 2018. The new vehicle will be of Euro 6 standard. The company is based in Radlett as are both drivers. The company are engaged in taking away plainings on behalf of Tarmac as well as hauling aggregates on behalf of them too and is a 24/7 operation. The company operate exclusively for Tarmac which include working on contracts for TfL and CVU. 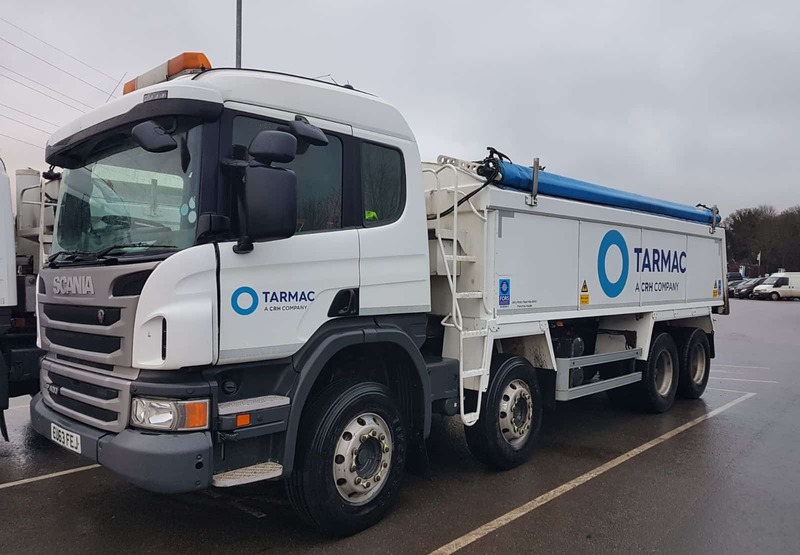 Along with our provider, Tarmac, we take safety very seriously, so we achieved FORS Bronze accreditation and then went onto applying for our Silver Accreditation which we achieved in November 2017. 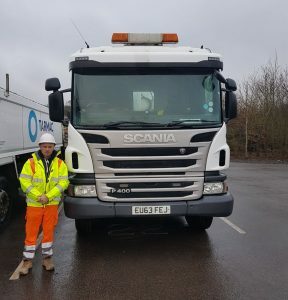 FORS has helped benefit by us being able to achieve better standards through their driver training programme, both classroom based and through e-Learning modules, along with FORS toolbox talks. This has led to the drivers having a better understanding of road safety and raised his awareness of the needs of other vulnerable road users. This has meant that the company has been able to maintain his 100%, zero accident rate in the last 4 years. All our vehicles are fitted with 360 degree cameras, side cameras, near side proximity sensors and audible left turn alarms, Class IV,V, V1 Mirrors, flashing beacons on the cab of all vehicles, cyclist safety stickers to both the rear and sides of our vehicles. Both drivers have completed Safe Urban Driver courses and have completed all the FORS E-Learning Modules. We have learnt that by equipping our vehicles to the highest safety standards and FORs Training, that our accident rate has continued to stay at zero over the past four years and has saved both time and money in reduced claims to the company. As a way forward the company is to receive a new vehicle which will be delivered in September 2018, this will also be equipped to the highest safety standards and will be Euro 6 compliant, this will replace the existing 32000 kg vehicle which is currently a 2013 vehicle (Euro 5) thus helping the company to reduce emissions and impact upon the environment. Once we had gained our Bronze accreditation we decided to go for the Silver Accreditation in 2017 as we were already doing everything required of us to gain Silver accreditation. Once we were at Silver we decided to show best practice and be able to stand out from our competitors. Each year both drivers are required to fill in an in-depth medical declaration on an annual basis even though through the FORS Standards it is recommended every 5 years. It is also mentioned in the driver’s handbook, which requires any driver to report any change to the company and forms part of their contract of employment. Once the driver informs the company, this would lead to an investigation and if it felt the driver was unfit to drive, we would require medical evidence form the drivers Doctor informing us that they were fit to drive. The company would only allow the driver to driver once we had received the letter. The driver would then be subject to recommended reviews, until we were satisfied that they we fully fit to drive. We have recently implemented a recruitment policy to the company, that outlines that we as a company are committed to employing young drivers/employees where possible and training them into that role. The future plans of the company are to ensure we that our safety record continues to be the highest standard, through driver training and fitment of vehicle safety equipment. All our future vehicles will be equipped to the highest safety standards, while paying attention to the environment. All our drivers will continue to be trained to the highest standards possible. Achieving Gold will help the company to work towards these goals and help to improve the industry’s safety standards, whilst looking towards reducing our emissions through less polluting vehicles.